Right in the midst of LA’s season of art fairs and festivals, along comes a film that takes a hatchet to LA’s art world. 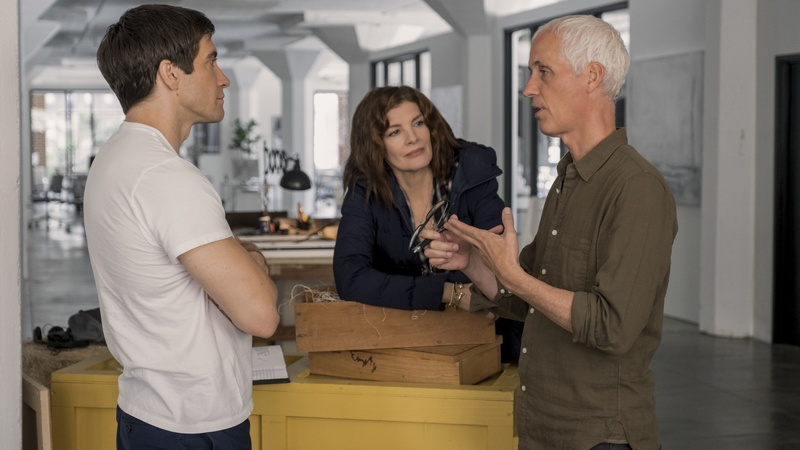 “Velvet Buzzsaw” is part satire, part slasher movie about a group of gallerists, curators, installers, and art advisors who all are eager to profit off the dark and disturbing oil paintings of a dead artist named Vetril Dease… and wind up facing bloody deaths themselves. The film has earned mixed reviews. But DnA loved this campy parody that also lands some punches at a world that is at once glamorous, inspiring, silly -- and hyper-inflated. After all, a David Hockney painting recently garnered $90 million; the sale of one Cy Twombly for $70 million will pay for the bulk of the construction costs of the Rem Koolhaas-designed addition to LA’s Wilshire Boulevard Temple. 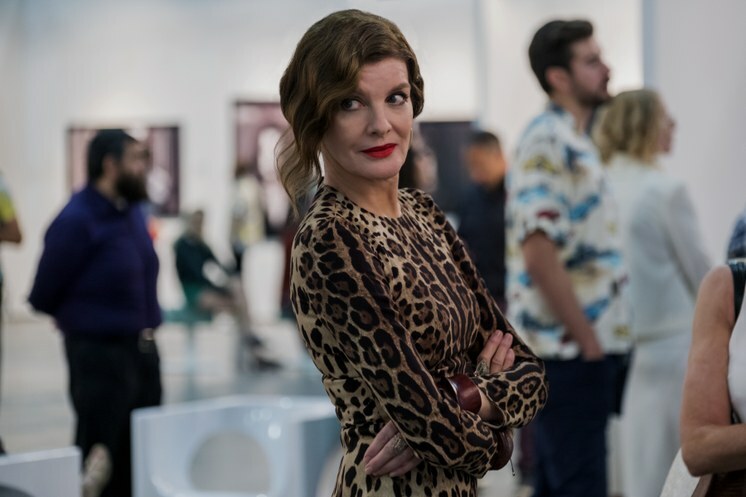 Through such characters as the art curator-turned-art advisor Gretchen (Toni Collette), art dealer Rhodora Haze (Rene Russo) and art critic Morf Vandewalt (Jake Gyllenhaal), writer/director Dan Gilroy has fun with art world fashion (especially the shapeless chic of Collette’s curator character), sends up artspeak and gets in potshots at the murky market in which nonprofit curators will repurpose themselves as private art advisors and museums will exhibit artists whose works are collected by board members of that museum, benefitting from the rise in value of said art. The narrative oil paintings by the movie’s dead character Vetril Dease were actually created by a young Angeleno named Saxon Brice. When he got a call from the production team, he welcomed the gig. “Frankly in real life I'm a lot closer to the guy who plays... an art installer, so I'm struggling doing art installing and a friend of a friend of a friend got some of my work and vouched for me to David Hunley who is the art supervisor for the film, and we just kind of went from there,” Brice said. To make the paintings quickly, Brice created digital images on the computer and the production design team printed them. The process inspired Brice to try a new approach to creating charcoal paintings digitally. 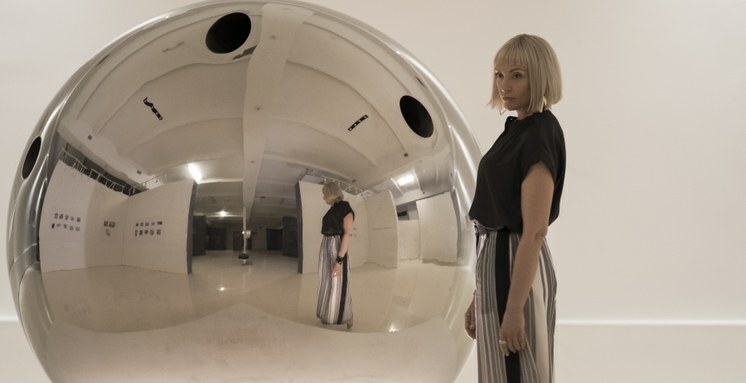 As a struggling LA artist, how did he feel about Velvet Buzzsaw?